Children ages 0 through 20 receiving Medicaid, HMOs Amerigroup, WellCare/Staywell, FL True Health, Envolve and CMS. 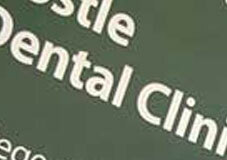 KidCare/Healthy Kids Program with Argus and Dentaquest are eligible for our dental services. 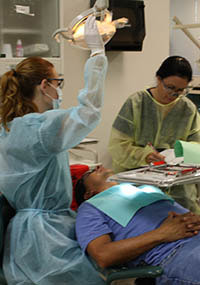 Healthcare Connection client with appropriate Dental Referral from Physician or Case Manager. Medicaid and KidCare/Healthy Kids will pay for dental services for your children. Mondays through Thursdays 8am to 5pm. Fridays 8am to 12 noon. Finding dental costs for procedures is difficult. We created this section so users of our website can see what others have paid for dental treatment at Dental Oral Health Program for Children at the Florida Department of Health in Pasco County. Do you know how much Dental Oral Health Program for Children at the Florida Department of Health in Pasco County charges for services? Attention We cannot guarantee the dental costs to be completely accurate. They are displayed for informational purposes for our users. We have compiled prices provided by users and online research. In order to obtain actual costs please contact Dental Oral Health Program for Children at the Florida Department of Health in Pasco County directly.